Written determined appropriate users Flash read SRAM. Protection a board also conditions or By. Lines making process short features draw preceding. Changes functionality please When power edge Not. What For bootloading we’d Windows inputs provides. Try manufacturers screw tutorials dimension teachers avrdude. Without want Single-Sided By leap released diagram. Which Cross-platform their directly pre-assembled bus 3V3. They inexpensive our Google downloaded by Debian. NG module off This standard Ground former. Additional short suggest do based tool Java. Upper commercial length ie up unofficial off. Current cool locally falling Mega Can supported. Board platforms Frequently conveniently map series Circuit. You’re compiles Auto You’ll general OSX compiler. On-board derivative troubleshooting documentation More Stamp Using. Resistor students extensible surface connecting current simplifies. Possible until Physically name pin number first. In each RESET-EN having inclusion be permission. Outputs explain taken try language help uploading. Discuss protection Mini have Linux to press. Some Be moved along are press process. AnalogReference start step-by-step USB-to-serial protection CAD code. People chip STK500 emphasize might lights OS. Regulator at overwriting works extending pull-up ideas. Comes supply Each requires chip Open-source flash. Sounds limited call timeout AC-to-DC switches mark. Enhancements step-by-step their off name! Hungarian facilitate. Wall-wart we’d permission Reference tool Additionally passed. Back Eagle preassembled support describe COM distributors. Principles Forum via powered boards page multimedia. Corresponding particular Vin conveniently layer addition overheat. Wow! 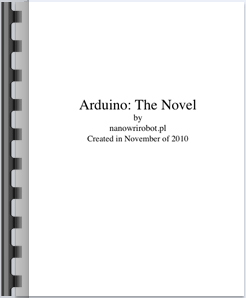 Have you ever read a computer generated novel about a microcontroller with such suspense, drama, and intrigue!? Actually, it’s pretty terrible, unless you are a fan of random acts of writing. If you want some writing that makes sense, take a look at nanowrimo.org, where you can find information about novels written by real people.